Before the Southern states succeeded from the Union in 1860, a small Christian college in Ohio almost caused the Civil War. It all started in 1850 with the Fugitive Slave Act. Before 1850, owners of slaves in slave states could not easily retrieve their slaves if they escaped to free states. Many of the escaped slaves settled in Ohio. When the Fugitive Slave Act was enacted, slave owners could not only chase their slaves down in states like Ohio, but abolitionists in free states were forced to aid them and hand over these slaves or be convicted of a crime. That didn’t sit well with most Ohioans, but the students at Oberlin College were enraged by the law. Oberlin College was the only college at the time that allowed both blacks and women to graduate with a college degree alongside white men. A religious fervor had filled the campus, and Charles Finney from the Second Great Awakening had become the college president. Oberlin students felt it their duty to live out their Christian life in the culture of the times. Graduates became missionaries overseas, preached abolition in the South, and women’s suffrage and equal rights for all. Since the Fugitive Slave Act, many escaped slaves settled in Oberlin and were warned by residents whenever slave catchers were around. In September, 1858, a federal agent arrested a fugitive slave, John Price, in Oberlin and transported him to nearby Wellington intending to take him to Kentucky. Half the town of Oberlin chased the agent down and took Price back. He was secretly moved to Canada by an Oberlin College professor. 20 men were arrested and charged with impeding the capture of a fugitive slave. The trial caused such an uproar in Ohio, there were discussions about succeeding from the United States. The federal agents were arrested for kidnapping because they violated Ohio’s constitution against slavery. Ohio Governor Salmon P. Chase was an abolitionist, but he talked the crowds out of succeeding. Many wanted him to run for president in 1860, but he stepped aside for the good of the country. He felt a moderate anti-slavery candidate, Abraham Lincoln, would have a better chance of winning. 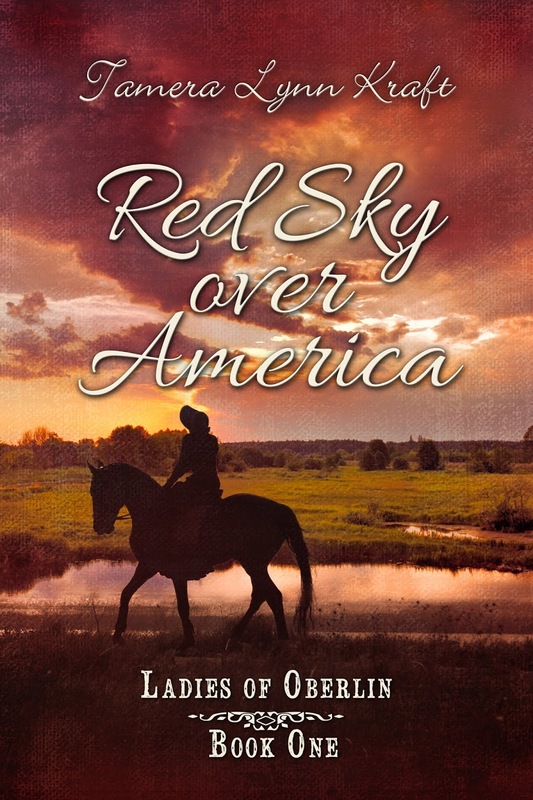 Red Sky Over America, is about a woman abolition who attended Oberlin College shortly before the Oberlin Wellington Rescue. Tamera Lynn Kraft has always loved adventures. She loves to write historical fiction set in the United States because there are so many stories in American history. There are strong elements of faith, romance, suspense and adventure in her stories. She is managing editor of Mt Zion Ridge Press. 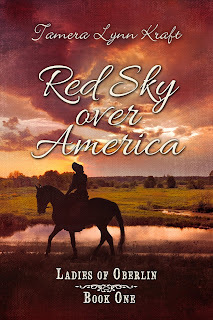 Her novel, Red Sky Over America, is available in print and e-book. She is also a contributor to the From the Lake to the River Buckeye Christian Fiction Anthology. Wow thanks for sharing I never knew this but these are the stories I want to know about. Your history is interesting to this Aussie. I'd never heard of this before. Thanks for sharing it.